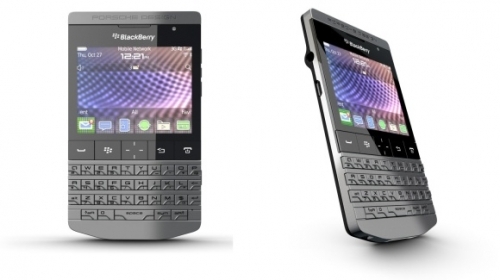 Porsche designed BlackBerry P'9981 now available in UAE | BlackBerry Blast! The new Porsche designed BlackBerry P'9981 is now available at all Porsche Design stores in the United Arab Emirates. The new BlackBerry has a very different design with sharp edges and corners, and is unlike any other BlackBerry on the market today. "The P'9981 smartphone from BlackBerry is a milestone product for Porsche Design," said Dr Juergen Gessler, CEO Porsche Design Group. "It is a representation of the iconic Porsche Design styling philosophy and RIM's technology-driven focus, which combine to deliver engineered luxury and performance in a smartphone for the discerning consumer." The Porsche Design BlackBerry runs BlackBerry 7 on a 1.2 GHz processor. The P9981 also has Liquid Graphics technology for smooth graphics and responsive touch. It features HD video recording, has support for NFC (mobile payments), and is expandable to 40GB of storage with a microSD card.